Some of my favorite Thanksgiving memories are centered around the dinner table so I'm fairly selective when it comes to which dishes I prepare. They will, after all, become an integral part of my Thanksgiving story. Below is my definitive list of Thanksgiving baked goodness that made the cut! 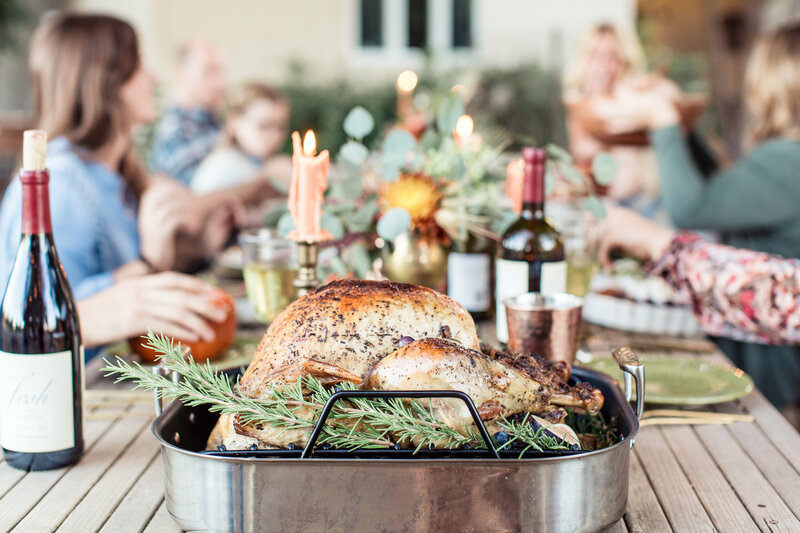 If, like me, you are excited for the upcoming Thanksgiving holiday memories you will soon be making with your family and friends, I want to invite you to first look back and reminisce on past Thanksgiving memories by joining in our Ten Days of Gratitude celebration. During the 10 days leading to Thanksgiving, we will paying it forward and helping you do the same by giving you and a friend the chance to with $50 Visa gift cards. All you have to do is comment on our 10 Days of Giving post and share a special Thanksgiving memory. Tag someone you're thankful for and they will also be entered for a chance to win a $50 gift card! Let's spread the Thanksgiving gratitude! It's the great pumpkin bread to start off my Thanksgiving morning! Thanksgiving is a whole day affair and a nice on-theme breakfast is the way I will start the day. 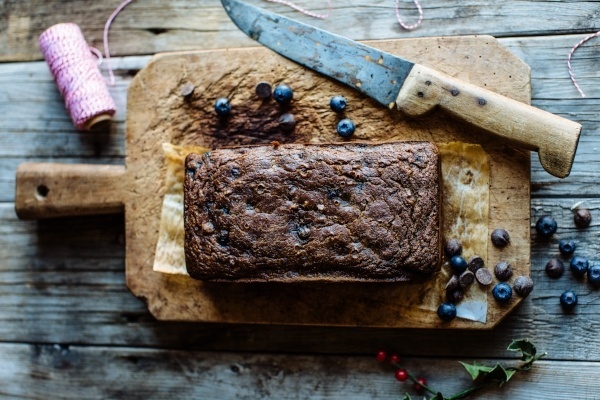 This delicious pumpkin bread has the added delight of blueberries. The traditional flavor of pumpkin with a burst of something unexpected and new, like blueberry, is my inspiration for Thanksgiving day. I can not wait to enjoy this with my cup of coffee on Thanksgiving morning. 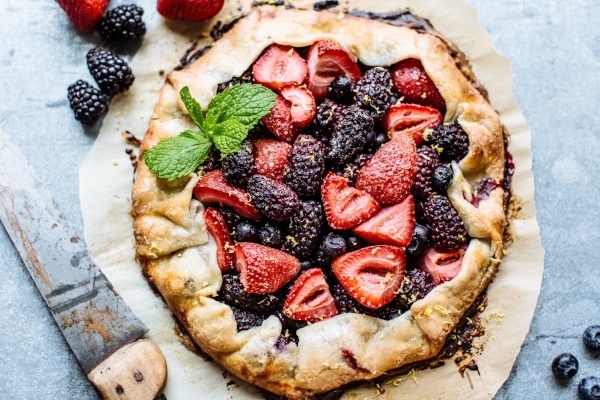 Berry Galette is my new jam this Thanksgiving! We've never had this pie at our Thanksgiving gatherings so I'm excited to see what the buzz will be around it. The goal for any new food on the Thanksgiving table is for it to reach 'tradition status'. We will take a poll after everyone has tried it to see if we should bring the recipe back next year. With all this berry goodness, I'm sure it'll be an easy decision. Fingers crossed! 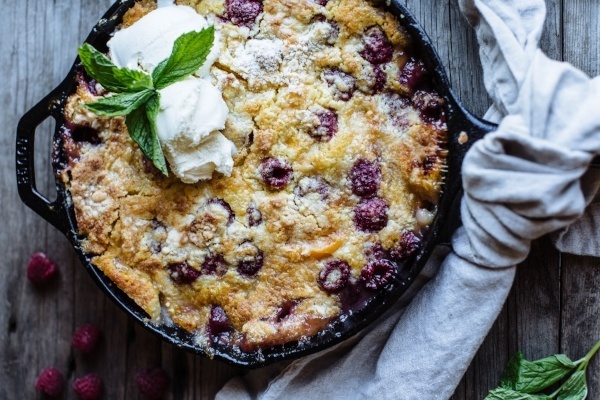 Raspberry peach cobbler skillet is on my list of favorites! 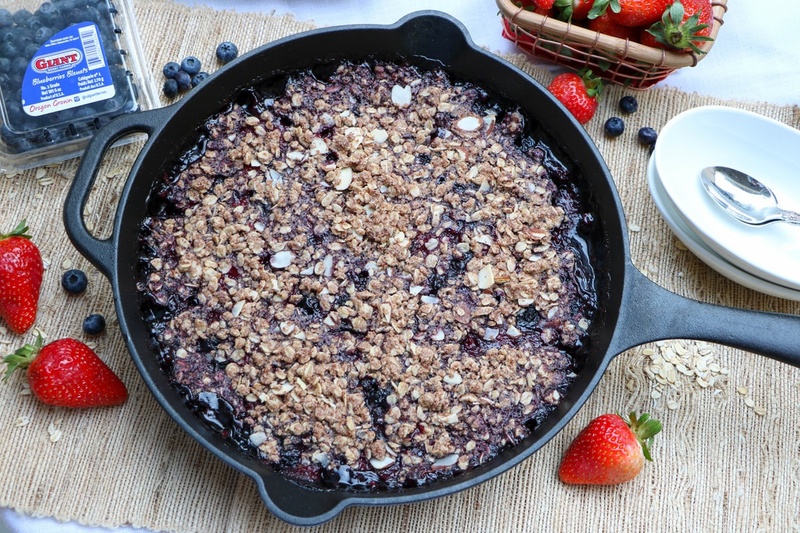 With the skillet trend in full force, this recipe is going to be a hit. It will sit between the apple pie and pumpkin cake. Peaches and raspberry are two of my favorite fruits and combined in this unique cooking technique, they're tasty on a whole new level. Happy Thanksgiving! We hope that this Thanksgiving takes the cake and the pie! 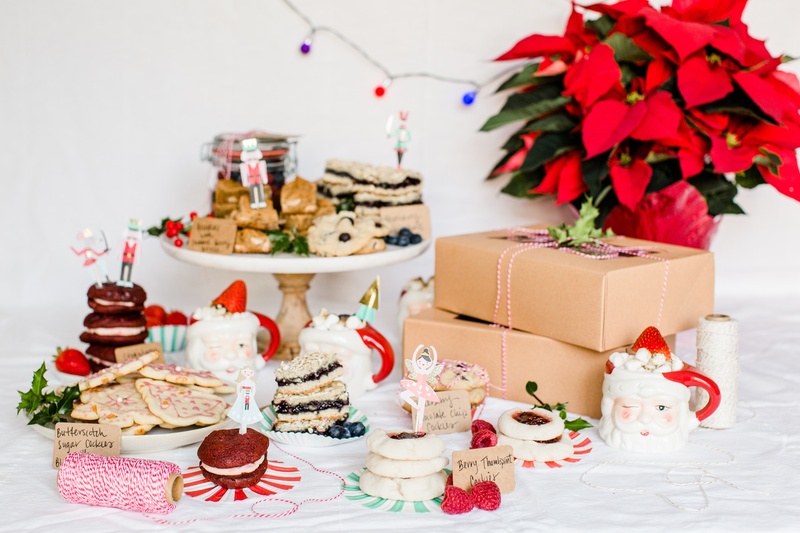 For more holiday baking inspiration, subscribe to The Buzz Blog and check out our fall flavors on our website. 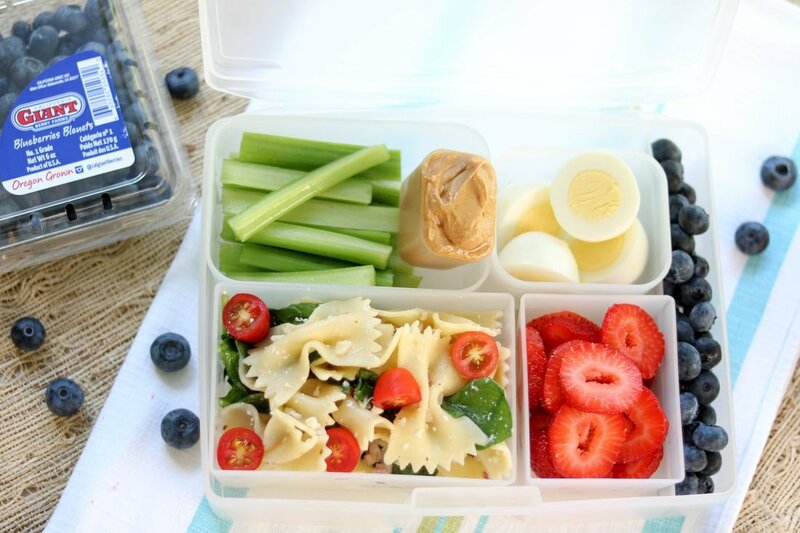 It's full of fall inspired dishes!